A quick little #homemade #brunch. Thick-cut, rosemary-toasted sourdough, with some Vermont white #cheddar and crumbled chicken #sausage. 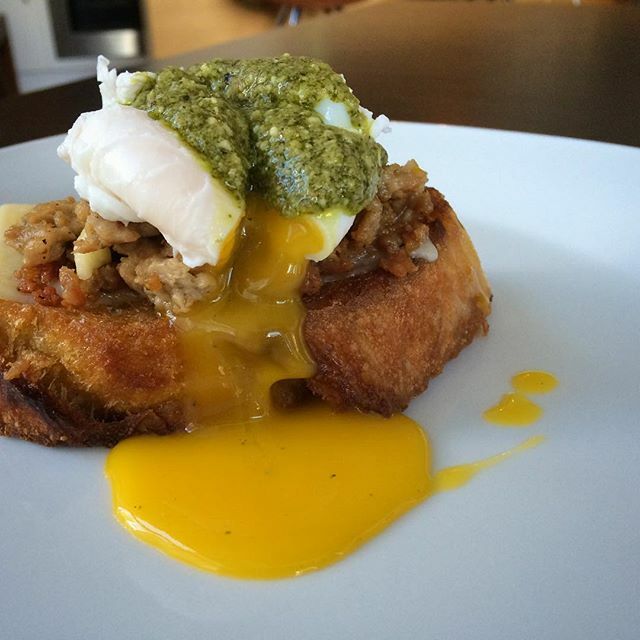 Topped with a poached #egg and some delicious fresh #pesto. Yay!